Am surprised that nobody has noted that your fourth example is from "Gladiators Seven". 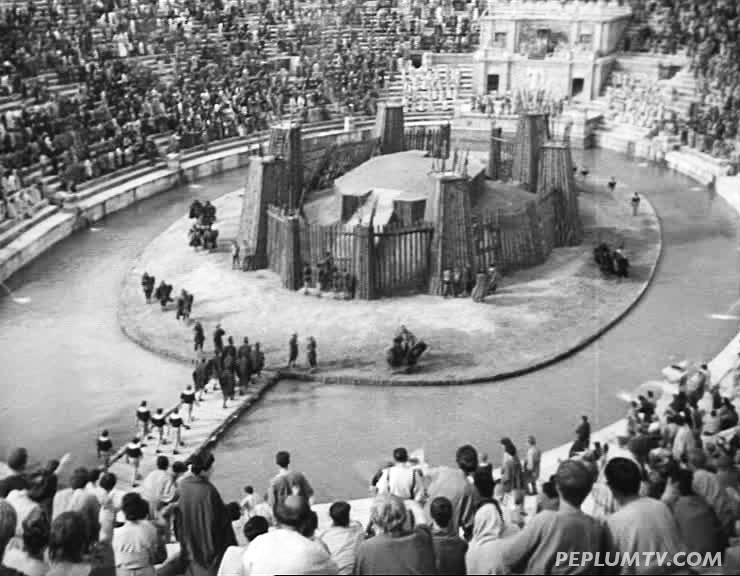 The folks who paid good sesterces for ringside seats, only to find that their view is occluded by the wall, and thus they can see nothing unless someone falls to his death on the wooden stakes to either side, got rooked! 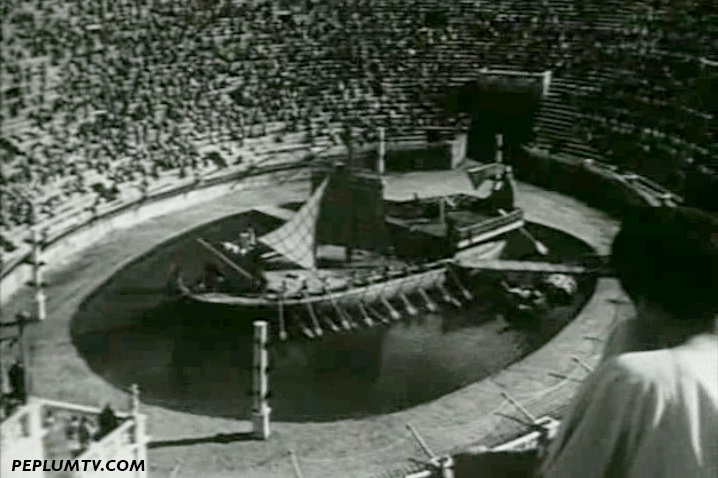 And the fifth item is an elaborate feat of strength combined with an Elaborate and Improbable Torture device--except that the audience does not know that "Hercules" has been robbed of his superhuman strength after killing an innocent man by mistake. Thus, he has only the strength of a natural man of his size and build--which isn't going to help him in this torturous test. Perhaps he best possible frame grab, showing all aspects of this device.